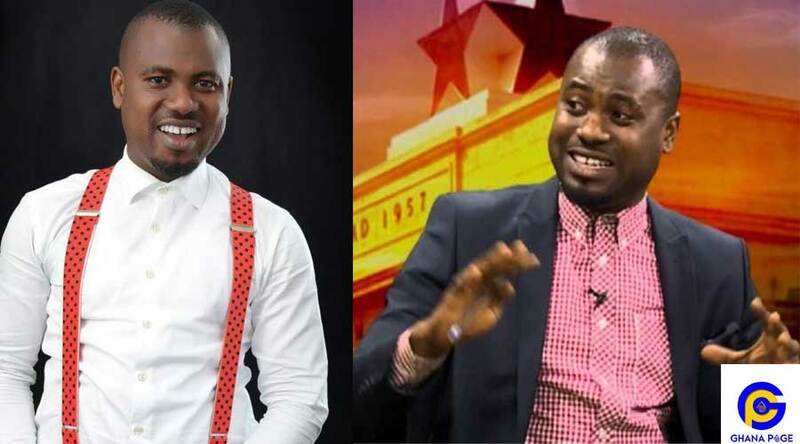 Ghanaian broadcast Journalist, Gilbert Abeiku Aggrey Santana popularly known as Abeiku Santana has expressed discontentment over government decision to adopt French as Ghana’s second official language. According to the media personality, the current education is in shambles as students already have issues with the English language and adding French will make it worse. “There has been an inconsistency with our educational curriculum. From 1987 that we changed our educational curriculum from the Middle School Leaving Certificate to BECE, what we call the Junior Secondary School, and later we change to, we change titles, the working titles of it but nothing changes. We just change it from Junior Secondary School to Junior High School. I think that we are joking and toying with our educational system let alone to say that we going to make French a second language. Even our first language, the English language is a big problem. You can go and check from the Ghana Education Service and the West African Examination Council performance of English, and even today as we speak, those who have graduated from University, their kind of English construction. Why is that, even if you have a pass in English and want to attend some Universities outside Ghana, they demand TOEFL – The Test Of English for Foreign Language students, why, because the quality of the English we speak, they don’t classify and consider it as the standard, that why you have to write English test before admission into some Universities in the UK and in America. So we are going to burden ourselves again with a second language, in which excuse me to say, it will be difficult for us to communicate with because predominantly we have over 26 ethnic tribes or groups in Ghana and we communicate in the local dialect, why can’t we make our local language a number one or the first language, why? If you speak English and you make mistake, hey, unheard of but we are comfortable when people are pronouncing towns, villages and names locally and they make mistakes, we are alright. We are losing our sense of pride. It doesn’t happen in East Africa. Go to East Africa, Swahili is the most predominant language. They speak it parliament. Go to Kenya and South Africa, they speak Swahili. Zulus also speak their language. We are changing our language and very soon, we will have nothing to show. I am sorry; I disagree with the Honourable Foreign Affairs Minister. If we are trying to please our French partners, we are not going anywhere, we’ll not go any far with this, because we teach the kids French in school, they come home, they can’t come and speak French with me because I wasn’t taught French and I don’t know when we are going to reverse this or when we are going to change this,” he stated. The Foreign Affairs Ministry headed by Shirley Ayorkor Botchwey earlier disclosed that plans are underway to make French Ghana’s second official language. According to the Minister, this decision by the government will improve regional integration especially because Ghana has French-speaking neighbours. However, Abeiku Santana is not the only celebrity to be against this decision. The ‘Rap doctor’, Okyeame Kwame also criticized the ministry for taking such a decision. Abeiku Santana also reiterated the ‘Made in Ghana’ hitmaker’s point in making one local dialect our second official language rather than adopting French. The post We are joking with our educational system -Abeiku Santana appeared first on GHANAPAGE™.